These conditions often result in muscle weakness, tight or stiff muscles, and balance problems. Many of those affected have difficulty with performing everyday tasks with walking, using their hands, and with their everyday confidence in general. I also treat people who do not have a neurological condition, but who have difficulty with general mobility, loss of balance, or who feel at increased risk of falling. 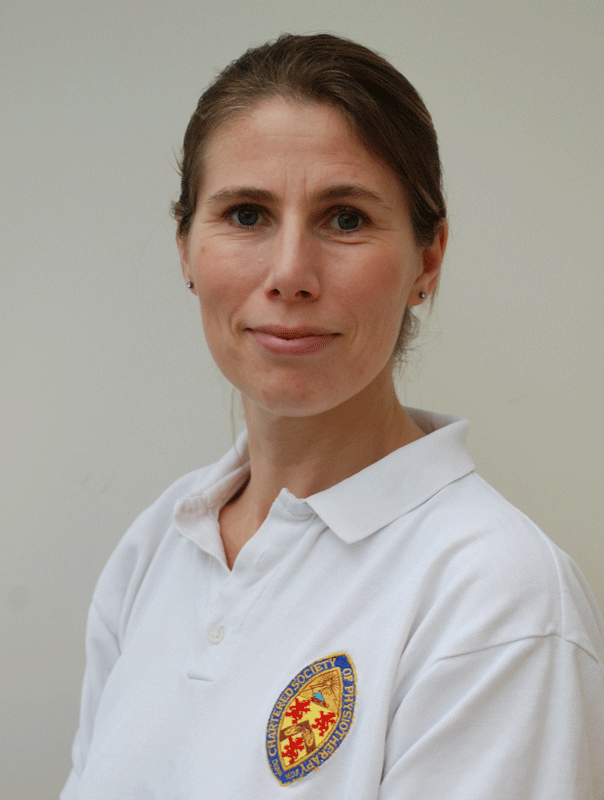 I provide private physiotherapy in your own home, tailored to your own needs and goals. This can also include outdoor mobility and accessing local amenities. The first appointment will last for one hour during which you will be invited to talk through your own goals and your aims of physiotherapy. You will also have an initial physical assessment which provides information about your impairments and disabilities. From this, I recommend a plan and a home exercise programme. Each patient has a different amount of input depending on their individual needs, goals and lifestyle. Cathy qualified as a Chartered Physiotherapist after completing a Masters degree at Glasgow Caledonian University in 2000. This followed an earlier degree in Anatomy at Edinburgh University. She then worked for the NHS at St George’s Hospital, London for seven years during which she specialised in neurological conditions. Her experience included treating a wide range of conditions from the very acute stages in hospital, through to rehabilitation or management at home. During this time she spent three years doing a PhD in stroke rehabilitation, which involved a clinical trial looking at current and new treatments for the arm after a stroke. She then worked as a Clinical Specialist and Team Leader for Surrey PCT, with a mixed caseload of neurological and general rehabilitation. Since moving to Dorset with her family in 2010, Cathy has been working in Private Practice and treating people in their own homes.